With summer rapidly approaching, South Florida homeowners can say, “Welcome to Miami” to harsh tropical storms and hurricanes that bring heavy rains, damaging winds, and flash flooding. During this upcoming weekend, Miami residents can expect thunderstorms to interrupt their fun, relaxing plans. While these storms may seem like a common Florida occurrence — with thunderstorms easily forming when in close proximity to water and in warm, humid conditions — and waiting out the storm is a common behavior, it’s best to prepare your home and family in the event of unexpected area flooding or a home power outage. With proper prep, you can guarantee family safety and prevent property damage. Florida is prone to flooding year-round, especially in low-lying urban areas like Miami. Because the land can’t absorb all of the excess water after heavy rains, flood waters can remain in the area for days, weeks, or even months. Bring in any outdoor furniture and other items and place them on the highest floor, if possible. Disconnect all electrical appliances and other items to avoid property damage or possible electrocution. Locate main gas and power switches in case instructed to shut off during storm. Keep an emergency radio close to keep up-to-date on storm developments and restock your emergency kits with flashlights, batteries, medications, water, and personal identification papers. Create an evacuation plan with family members, including a location to meet if ever separated. As Florida homeowners, experts also recommend keeping sandbags, plywood, plastic sheets, garbage bags, lumber, and shovels handy in areas prone to high flooding. If your home is unlucky enough to experience a power outage during these upcoming weekend storms, then don’t just sit in the dark — keep some necessary items nearby to easily navigate through the area until light is restored. Stash a flashlight with extra batteries close by so you can access it quickly once the power shuts off. Avoid using candles as they can cause fires. If using a generator, do not run it inside your home or garage. Turn off and disconnect electronics and appliances from power outlets. Do not open your refrigerator or freezer to keep the contents inside cool. Keep one overhead light in the on position so you’re alerted when the power is restored. After power has been turned back on in your home, toss out any spoiled food items and don’t attempt to touch any fallen power lines. 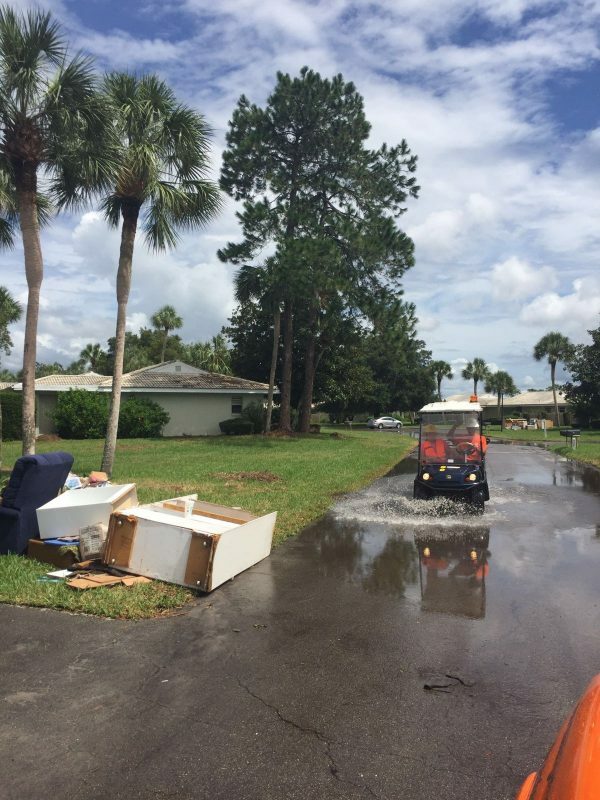 With hurricanes and tropical storms being a frequent occurrence in Miami, the experts at 911 Restoration of Miami know how to quickly and expertly remediate any water damage your home or property experiences to prevent structural and property damage and avoid unwanted mold growth. Schedule a free site inspection today or learn more about our water damage restoration services by calling us at 305-280-0755.